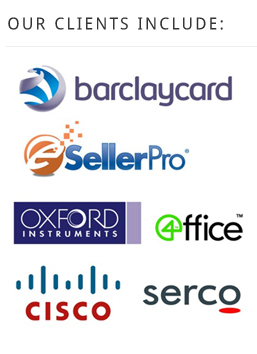 Our expertise covers all areas of Senior Management, IT and Finance. We source the vast majority of our candidates through our extensive network of contacts. In this way we are assured of matching your needs closely in both a discrete and highly targeted way. Additionally, we deploy internet advertising and are fully equipped to manage larger scale media advertising (including campaign management). A strict vetting process ensures that only top calibre candidates are presented. Which method we recommend will depend largely on the information that we gather from you when taking an assignment. We focus heavily on saving you time, narrowing the field to just one or two candidates for each opportunity. Initial interviewing and vetting is conducted by one of our experienced professional recruiters. This is organised and completed prior to submitting a detailed profile together with a candidates CV. We are used to working in the most discreet circumstances, maintaining absolute client confidentiality. We use proven traditional and creative search and selection methods. They enable us to consistently provide you the best freelance consultants and interim managers available. Our network of experienced and known individuals is extensive. We can often provide you with a candidate to work on your assignment who has worked through Alto on several occasions. We can provide you with extensive information, proof of performance and references as part of a candidate’s portfolio.